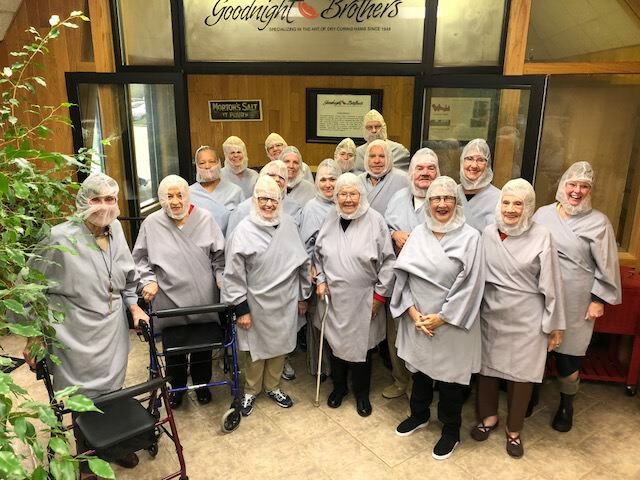 Goodnight Brother's welcomed 20 members of the Williamson's Chapel United Methodist Church for a plant tour on Monday, October 15, 2018. Among the members, 2 visitors were relatives of the original Goodnight's and shared memories of the good old days while touring our facility. We hope the group enjoyed seeing our process and facility and enjoy the delicious gift boxes including some of Goodnight Brother's most popular products!